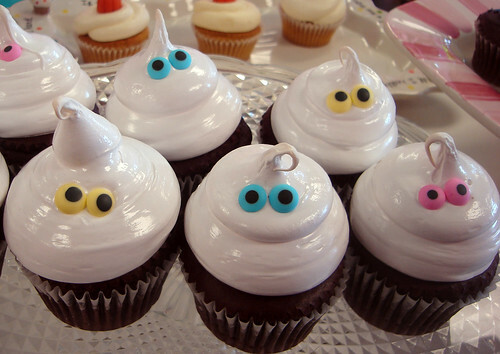 Cake & Heels: Ghost Cupcakes! I know I sometimes go a little over the top with my cupcake blogging, but these were just too cute to not post! I've been a bad little baker, with no new creations of my own to share, so you'll just have to be satisfied with the idea of eating something as yummy and adorable as these. But not get to actually eat them.